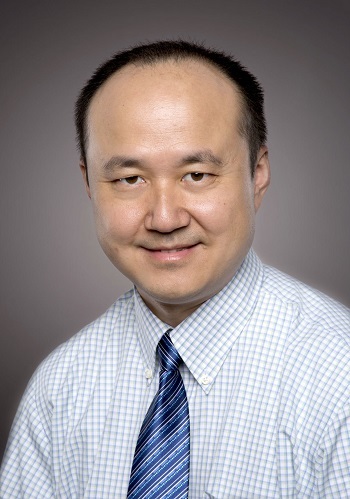 Dr. Dajun Wang is a cardiovascular disease specialist at the Kenosha Aurora Health Center, 10400 75th St., Kenosha. 1. What can I do to improve my heart health? Many lifestyle factors contribute to poor heart health (poor diet, smoking, sedentary lifestyle), so be honest with your provider when looking for guidance on lifestyle improvements. 2. How does family history affect heart health? If you have a family history of heart disease, ask how that might affect you. Before your medical appointment, compile a family health history, including all close blood relatives, going back to your grandparents. Share this with your provider. 3. Am I at increased risk for heart disease or a heart attack? 4. What are the warning signs of a heart attack? 5. Is my blood pressure within normal range? American Heart Association recommends that high blood pressure should now be treated earlier with lifestyle changes and possibly medication, at 130/80 mm Hg (rather than 140/90). 6. What should my ideal weight be? If you need to lose weight, talk with your provider about adopting a healthier lifestyle through diet and exercise. 7. Is my blood cholesterol within normal range? Blood cholesterol test reports show cholesterol levels in milligrams per deciliter of blood (mg/dL). Total cholesterol and HDL (good) cholesterol are among many factors your provider can use to predict your risk for a heart attack or stroke. 8. How much exercise does a person need to prevent heart disease? The AHA suggests at least 150 minutes per week of moderate exercise or 75 minutes per week of vigorous exercise (or a combination of moderate and vigorous activity). 9. Do you suggest that I take an aspirin every day? The United States Preventive Services Task Force recently released new guidelines regarding the use of aspirin as a primary prevention for cardiovascular disease and colorectal cancer. Your provider can explain both the benefits and risks of aspirin therapy, based upon your risks and individual medical history. 10. How often should I come back for routine checkups or diagnostic testing? Before leaving your medical appointment, be sure to get your next appointment scheduled and discuss any diagnostic test or lab work you may require. You should leave your appointment feeling confident that your heart health is in good hands with your health care provider. Don’t hesitate to ask your questions. February is Heart Month. Becoming an informed, engaged partner in your health care is critical. Knowledge is power, especially when it comes to your heart health.